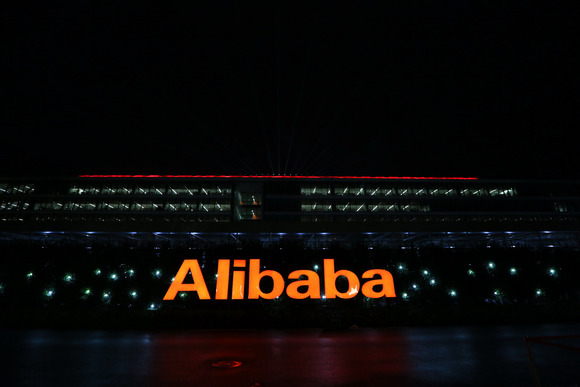 Alibaba's cloud computing business is hoping to attract enterprise customers with a new artificial intelligence service designed for data mining and analysis. On Tuesday, the Chinese e-commerce giant announced DT PAI, a platform designed to comb through a client's data and analyze it for useful information. The service could help companies find key trends within their customer data, or even recommend goods to users, according to Alibaba. For example, online shoppers could take a picture of an item they like, upload the image, and then receive the e-commerce listing on where they can buy the product. Alibaba had been experimenting with this concept back in 2011 through its own e-commerce search engine. Alibaba's DT PAI platform now aims to streamline AI development for the enterprise market, reducing the time and expertise needed. Interested customers can simply "drag-and-drop" what functions they want, before proceeding to application development, the company said. "What used to take days can be completed in minutes," said Xiao Wei, senior product expert with Alibaba's cloud business, in a press release. Alibaba isn't exactly known for AI development. In China, the company dominates as the country's leading e-commerce player, and its initial public offering in the U.S. was the world's largest at US$25 billion. But in addition, the company has a fast growing cloud computing business, which is expanding globally. It has already opened a data center in Silicon Valley, and more are slated for other markets such as Europe and Japan. In expanding, however, Alibaba will have to contend with better-known cloud providers such as Amazon Web Services, and Microsoft, according to analysts. In China, Alibaba is the leading cloud computing provider, so it will need to extend its advantage into platform-as-a-service cloud products, said Charlie Dai, an analyst with Forrester Research. Furthermore, its DT PAI plaform will be able to provide data mining and analysis, an important sector in the enterprise cloud market, he added.